James Lawonn with the Oregon Department of Fish and Wildlife counts cormorants on the Astoria Bridge. Double-crested cormorants nesting on the Astoria Bridge could come with a high cost to the state and more frequent maintenance interruptions for motorists. The birds, seasonal visitors to the North Coast, have just begun to return to the estuary for breeding and nesting. No one knows how many will decide to settle on the bridge this year, but it was clearly a popular spot last year, as birds from the region’s largest colony continued to be hazed off East Sand Island downriver. The number of double-crested cormorants nesting on the bridge jumped from a dozen pairs in 2004 to around 1,700 pairs last year, according to monitoring reports cited by the Oregon Department of Transportation. The leaps coincide with the beginning of lethal management of a massive double-crested cormorant colony on East Sand Island. The birds abandoned the island several times after the U.S. Army Corps of Engineers began shooting thousands of adult birds and destroying nests and eggs in 2015 to protect runs of young salmon. Fish and wildlife researchers have since questioned the value of cormorant management in saving salmon. They say it was clear after each dispersal that cormorants were resettling on the bridge and farther upriver — areas where they could potentially impact even more salmon. Cormorant droppings have accumulated on the bridge in layers so thick they have made it difficult for state inspectors to evaluate the structure. The droppings are also very corrosive, reducing the life span of the bridge’s protective steel coating. “The potential expense we’re facing is a real worry to us,” said Department of Transportation spokesman Lou Torres. The state repaints the Astoria Bridge every 20 years, a lengthy but necessary maintenance that has shut down lanes during busy summer months. Work on the span only just concluded in 2018 and more work is planned in 2021 on the under truss, where many of the cormorants appear to nest. “We’re really trying to get prepared for that,” Torres said. Cormorants rest below the Astoria Bridge. He estimates it could cost around $80,000 to pressure-wash the bridge to complete required inspections. But that cost could quickly increase to $6 million if environmental agencies require the state to set up containment structures during pressure washing so bird waste does not simply get pushed into the Columbia River. If cormorants continue to nest on the bridge in such high numbers, the state may also have to paint the bridge more often, every 15 years as opposed to every 20. Either way, the Department of Transportation is weighing its options as 2021 approaches. The department anticipates it will need to begin a hazing program to dissuade cormorants from nesting on the bridge. How to remove them is still an open question. Several years ago, the state hired a company that set up noise cannons on the Interstate 5 Columbia River Bridge in Portland to disturb thousands of starlings that had colonized the bridge and whose accumulated droppings on the bridge, catwalks and roadways posed health and safety hazards. The Army Corps does not link the movement of double-crested cormorants farther upriver to management actions on East Sand Island. The agency blamed attacks by eagles for the birds’ departures in 2016 and 2017. Army Corps spokesman Jeff Henon suggested the birds may not have nested in large numbers on the bridge before because of the billowing containment structures that were around in 2014 during painting and maintenance. When the state moved on to other portions of the bridge and the containment structures were no longer necessary, the birds moved in. But Torres noted that the bulk of that work was not in areas where birds usually nested and, besides, the number of nesting birds on the bridge during the spring and summer climbed steadily between 2012 and 2018. “The numbers tell the story there,” he said. The Army Corps did not shoot any adult birds last year, but did destroy eggs. This year, the agency plans to modify the island’s terrain, creating intertidal wetlands and further reducing nesting habitat to keep double-crested cormorants at the lower levels identified in a federal management plan. But it’s not as though the cormorants’ relocation onto the Astoria Bridge and deeper into the estuary should have been a surprise. Studies funded by the Army Corps before management of the cormorants even began indicated it was likely some of the birds would move into the estuary if they were hazed off East Sand Island. Though further investigation is needed, available evidence suggests the cormorants that have been nesting upriver only recently immigrated from somewhere else — their most likely origin being East Sand Island, said James Lawonn, avian predation biologist with the Oregon Department of Fish and Wildlife. Past research on Caspian terns, also seasonal inhabitants of East Sand Island managed by the Army Corps, indicates birds that nest farther up in the estuary eat even more salmon than those nesting near the river’s mouth, where more types of food are available. It’s possible cormorants that nest upriver could eat three times more young salmon. A lone cormorant takes flight under the Astoria Bridge. Now the state and other partners are looking into the impact of new cormorant colonies in the estuary on the survival of young salmon. To Lawonn, how many cormorants are using the Astoria Bridge is a major piece of the puzzle. One evening at the end of March, Lawonn set up a scope near the Port of Astoria’s West Mooring Basin near the bridge. He wasn’t sure how many cormorants he would even see. It was still early in the season. Double-crested cormorants appear inclined to return to nesting grounds where they have experienced success, but they also aren’t afraid to quest elsewhere for better options if they are running into trouble. He wondered if birds that found safe and suitable nesting on the bridge would choose it first over East Sand Island, bypassing habitat where they had been hazed and shot at by humans and harried by eagles for the past several years. The Army Corps will not begin monitoring East Sand Island for double-crested cormorants and nesting activity until the end of April or beginning of May. Even as Lawonn trained his scope down the bridge’s length, the dark, snaking forms of cormorants on support structures at the base of the bridge caught the sinking sunlight and gleamed. Lawonn counted over 650 double-crested cormorants that evening. A few days later, he counted 943. The Oregon Hunters Association argues that SB 723 violates its members’ First Amendment rights. Donheffner’s legal argument is straightforward: The bill doesn’t ban coyote hunting, or even limit it. It merely outlaws contests for entertainment. And Oregon’s free speech laws offer broad protection for entertainment—thanks to a court ruling that protects strip clubs and adult video stores. Several lawmakers are trying to change the bill. The Senate Judiciary Committee, controlled by Democrats, is offering an amendment that removes the word “entertainment” from the bill’s language. But the bill applies only to contests. Oregon Department of Fish and Wildlife regulations say it’s legal to hunt and kill coyotes year-round with an appropriate furtaker’s license. “It’s nothing like the mass murder that’s been described,” Donheffner says, referring to the Humane Society videos. PRINEVILLE, Ore. – Two bull elk fought one another as the pair became entangled in barbed wire, the Oregon Department of Fish and Wildlife said. Biologists managed to free one of the elk but the other died from injuries sustained while fighting wrapped in barbed wire. The scenario recently played out in the Ochoco Unit of Central Oregon. “Oregon State Police Fish and Wildlife Troopers were able to radio dispatch and notify the Prineville field office staff to bring the equipment to sedate the bull elk,” according to ODFW. And unfortunately, this is not an isolated incident. “Bull elk and buck deer can often become entangled in leftover wire or rope this time of year,” according to ODFW. 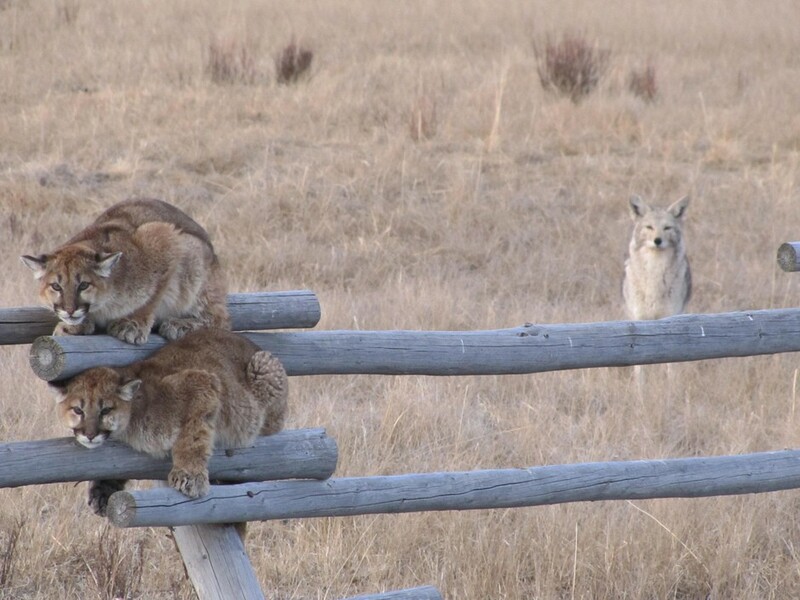 If you seen an animal stuck or trapped in a wire, fence or rope, ODFW urges you to contact one of their offices or the nearest state police station. Wolf expert Carter Niemeyer trapped, collared, tracked and sometimes shot wolves during a long career with U.S. Fish and Wildlife Service. A retired U.S. Fish and Wildlife Service biologist with 30 years experience said it is unlikely a wolf shot by an Oregon elk hunter was attacking the man. 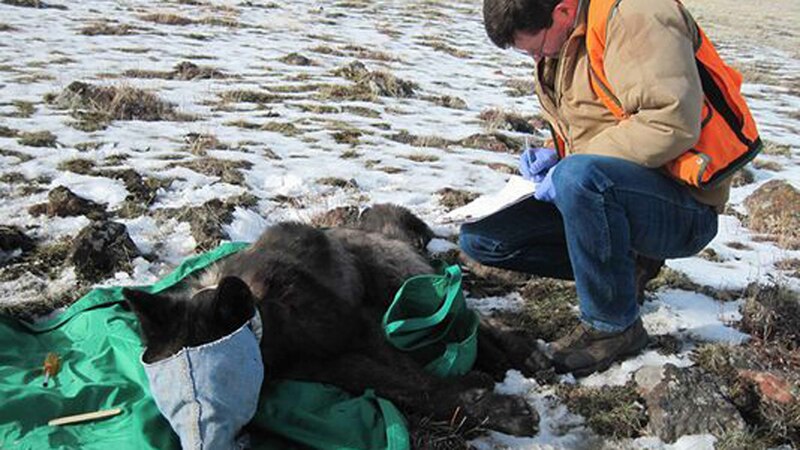 Carter Niemeyer, who lives in Boise and oversaw or consulted on wolf recovery work throughout the West, also said descriptions of the bullet trajectory — in one shoulder and out the other – raise doubt about the hunter’s account that the wolf was running at him when he fired. A bullet that hit the wolf as it was running forward most likely would have exited out the hips or rear end, Niemeyer said. He acknowledge the bullet or fragments could have deflected off bone, but said a forensic exam would have to explain that. 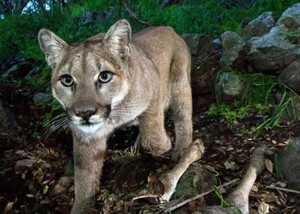 Michelle Dennehy, Oregon Department of Fish and Wildlife spokesman, said the agency did not request a necropsy because the cause of death — gunshot — was known. 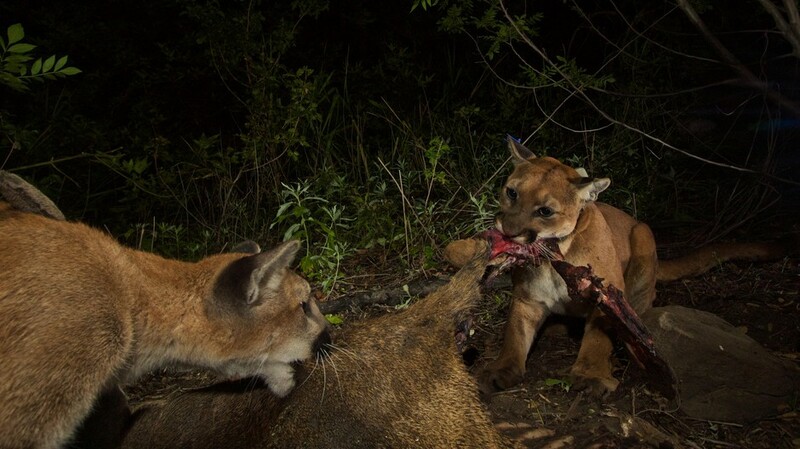 Niemeyer said the hunter’s account of taking a “snap shot into a ball of fur” is unlikely. “I have to tell you I doubt the story,” he said. The elk hunter, Brian Scott, 38, of Clackamas, Ore., told Oregon State Police that the wolf ran straight at him. Scott told police he screamed, took quick aim and fired his 30.06 rifle once. Scott said he saw nothing but fur in the rifle’s scope as the wolf ran at him, according to published reports. In an interview with outdoor writer Bill Monroe of The Oregonian/Oregon Live, Scott said he was terrified. Scott told Monroe he didn’t think he had time to fire a warning shot. He could not explain the bullet’s path, which entered the wolf’s right shoulder and exited the left, other than perhaps the wolf turned at the last instant or the bullet deflected. Niemeyer, the retired wildlife biologist, said wolves will “turn around and take off” when they realize they’re near a human. 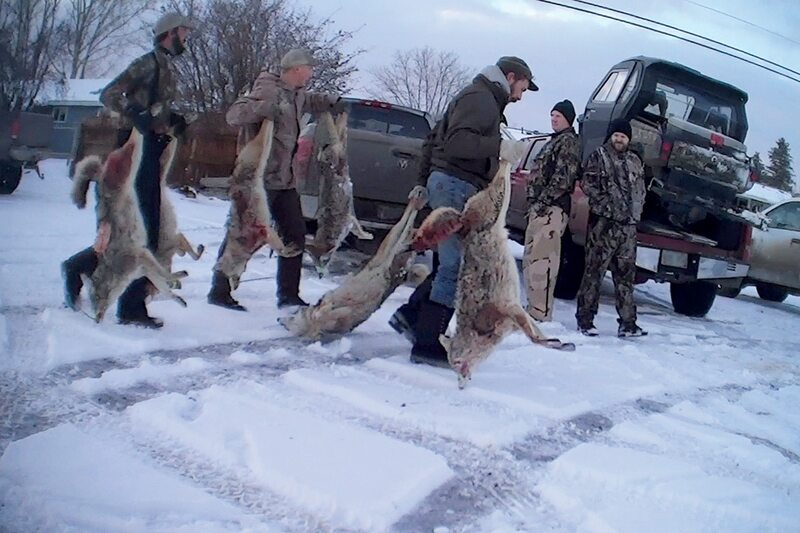 Niemeyer said he had “many, many close encounters with wolves” while doing trapping, collaring and other field work for USFWS in Idaho, Oregon and elsewhere. He said wolves sometimes ran at him and approached within 6 to 8 feet before veering away. People in such situations should stand up if they are concealed, show themselves, and yell or throw things, Niemeyer said. Hunters could fire a shot into the ground or into a tree and “scare the hell out of them,” he said. He also suggested people venturing into the woods should carry bear repellent spray, which certainly would also deter wolves, cougars or coyotes. “If everyone shoots everything they’re afraid of, wow, that’s not a good thing,” he said. Niemeyer acknowledged his reaction is based on years of experience with wolves. “People say, ‘That’s easy for you to say, Carter, you worked with wolves for 30 years and you’re familiar with their behavior,’” he said. The shooting happened Oct. 27 in ODFW’s Starkey Wildlife Management Unit west of La Grande, in Northeast Oregon. Scott, the hunter, told police he was hunting and had intermittently seen what he thought might be coyotes. At one point, two of them circled off to the side while a third ran at him. Scott said he shot that one and the others ran away. Scott went back to his hunting camp and told companions what had happened. 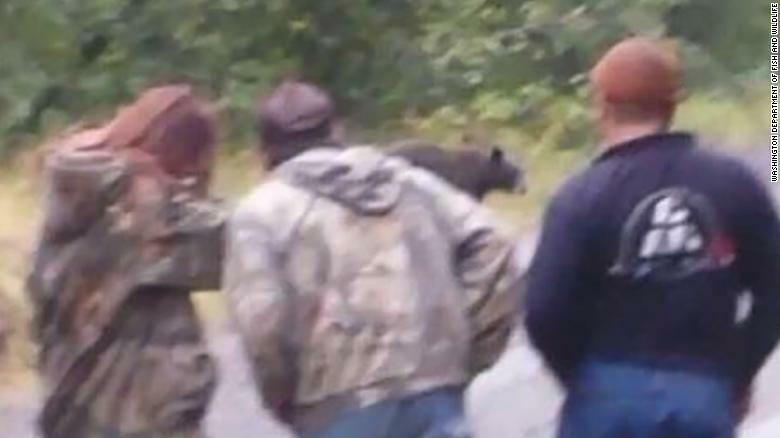 They returned to the shooting scene and concluded the dead animal was a wolf. 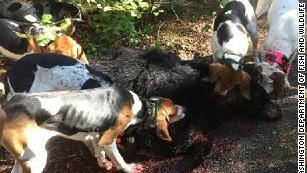 The hunter then notified state police and ODFW, which investigated. Police later found a shell casing 27 yards from the wolf carcass. The Union County district attorney’s office reviewed the case and chose not to file charges. 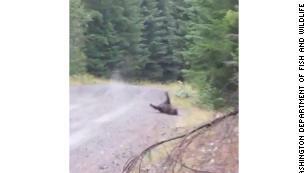 The Portland-based conservation group Oregon Wild raised questions about the incident. Rob Klavins, Oregon Wild’s field representative in Northeast Oregon, said he’s seen wolves in the wild several times and backed away without trouble or harm. Even the late OR-4, the fearsome breeding male of the infamous Imnaha Pack in Wallowa County, retreated and barked when it encountered Klavins and a hiking party. 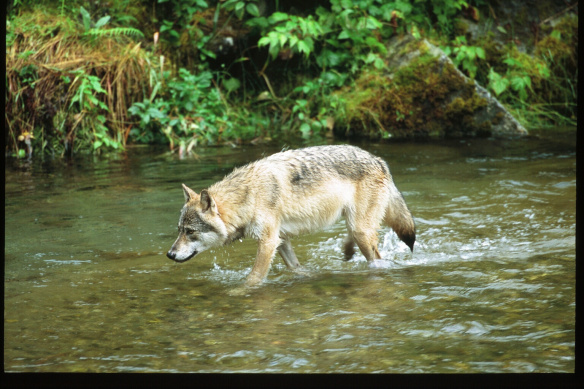 “This (hunter) may have felt fear, but since wolves returned to Oregon, no one has so much as been licked by a wolf, and that’s still true today,” Klavins said. Oregon Wild believes poachers have killed several Oregon wolves, and USFWS on Nov. 6 offered a $5,000 reward for information about a collared wolf designated OR-25 that was found dead Oct. 29 in South Central Oregon. Brian Scott screamed, pointed his .30-06 rifle, saw hair through the scope, and pulled the trigger once. Scott shot and killed a gray wolf while elk hunting in rural Union County on Oct. 27. The experienced hunter notified state police of the incident and told the responding trooper, Marcus McDowell, a harrowing tale of self-defense. Authorities agreed and declined to prosecute the wolf killing, the first reported instance of a protected wolf being shot and killed by a hunter who feared for their life. Scott could not be reached for comment on this story. The 38-year-old Clackamas resident told McDowell those details on Oct. 27, hours after the shooting. More details emerged Friday one week after the incident. McDowell determined the bullet entered the animal’s front right side and exited through the left. In a Thursday press release, the agency said “based upon the available evidence” the hunter acted in self-defense. According to the three-page police report obtained through a public record request, Scott was hunting last week in the Starkey hunting unit of Union County near La Grande off of a forest service road where he was camping with several other hunters. At about 7:15 a.m., he left to hunt, and a little after leaving camp he saw animals moving around him. Scott hiked into a nearby timber stand and sat for 20 or 30 minutes. After leaving the trees and heading into a meadow, he saw to his left what he assumed was a coyote. “He was running at me, which is very odd,” Scott told the trooper. A second animal was behind the first. 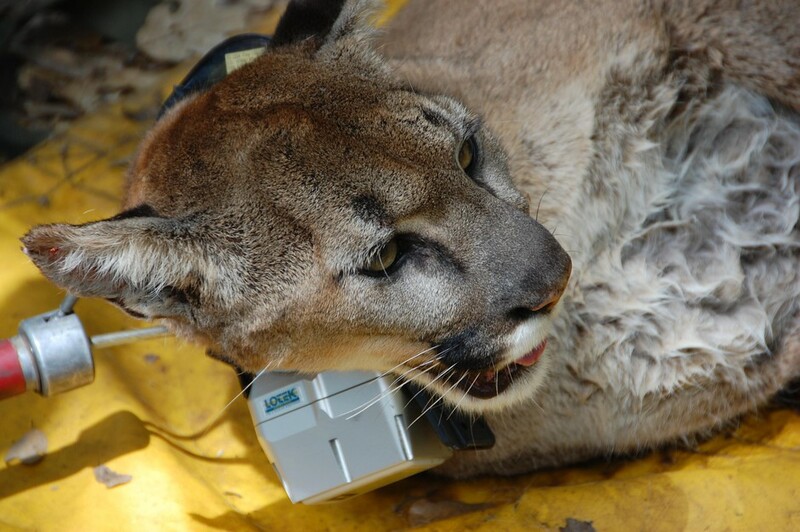 A third animal “was running directly at me,” Scott said. 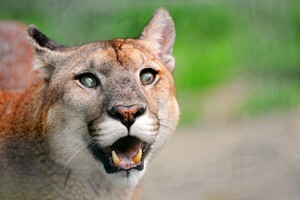 Scott shot the third animal from roughly 27 yards away and watched the other two run into the timber near a forest road. The other wolves howled, according to the police account. 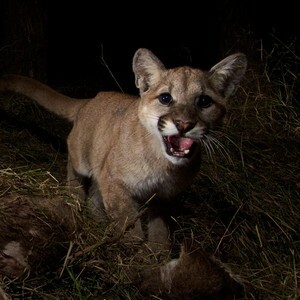 An Oregon Department of Fish and Wildlife official, Leonard Erickson, later arrived to the scene and helped recover the animal. One of four additional hunters at the camp transported the wolf, an 83-pound female connected to OR-30. 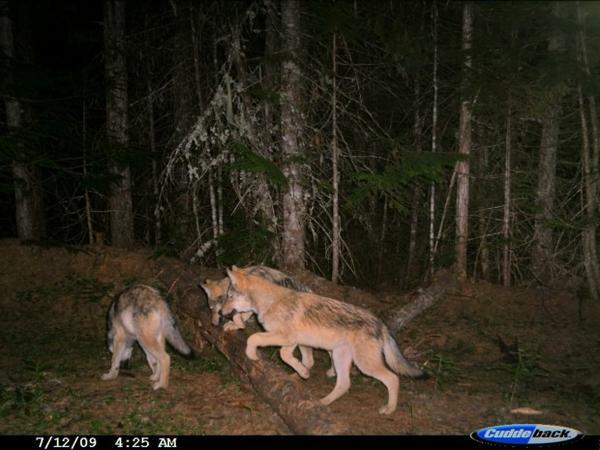 The pictures and police report paint a different picture, according to wolf advocacy group Oregon Wild. The animal’s death also comes on the heels of five recent approved wolf shootings in eastern Oregon. It is illegal to kill a wolf unless it’s caught red-handed killing livestock — a rare occurrence that has happened just once in 2016 — or in the event of self-defense. Legally, animals can be killed if they are confirmed to have repeatedly attacked livestock. Steve Pedery, the nonprofit’s conservation director, said in an email that he’d like to see further investigation of the hunting incident. He’s not convinced the animal was running at the hunter, and questioned why the wounds are on the animal’s side.